Keeping your existing customers happy is obviously important, and if your company is going to expand and continue to move forward, you also need new customers coming in. 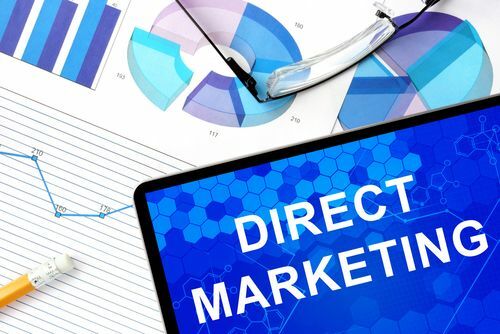 While many small businesses are moving toward electronic marketing methods only, the fact is that you can do a better job to attract new customers with direct mail and email combined. Use this guide to help you understand the best, most efficient methods for using these two channels to get new customers. Inbox overload is a very common thing for people these days. Important emails from friends and family will be read, but the fact is that most people will move more than half of the sales messages they get directly to the trash without even opening them. Just because you send something via direct mail doesn’t mean the person who gets it will read it, but the chances do go up significantly. People just aren’t as likely to throw a physical object away without looking at it. That’s why you should reserve your direct mail campaigns for important announcements like annual sales, location changes or special events. To put it simply, you’ll get the most bang for your buck from direct mail marketing this way. Just because you sent out a piece of direct mail doesn’t mean you shouldn’t follow up via email, but most of the time you will not have the prospect’s email address. Make sure to include email capture as part of however you are asking your prospect to respond. The prospect must opt-in to receiving emails from you. Then, you can follow up your direct mail marketing with e-mail. Your customers will be more likely to spend money with your company if you use a double-pronged direct mail and email strategy. Let’s say you are sending out a postcard to prospects around your business advertising a sale. You could include a personalized URL/landing page where the recipient has to enter their email address in order to print their extra savings coupon. That way they are providing you their email address so you can continue to communicate with them. The best thing about email is that it’s economical and allows you to stay in regular contact with your existing customers. To keep your company fresh in a customer’s mind, you need to message them regularly. Just don’t bombard them with messages. Depending on your business, once a month or quarter is fine unless you have a special announcement that is time sensitive or very important. Use an email system that is easy to send custom messages and upload your contact list.